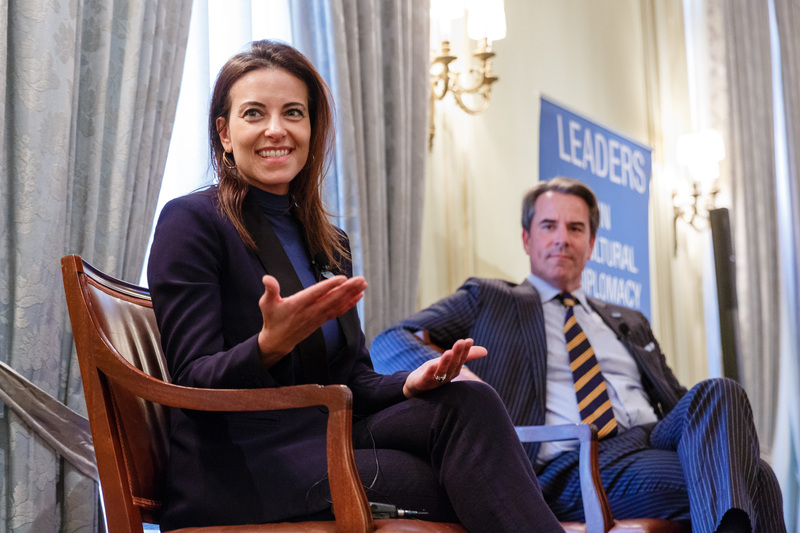 The Honorable Dina Powell engages in a discussion about women’s empowerment, global entrepreneurship, and national security with Meridian President and CEO, Ambassador Stuart Holliday. Photo by Stephen Bobb Photography. 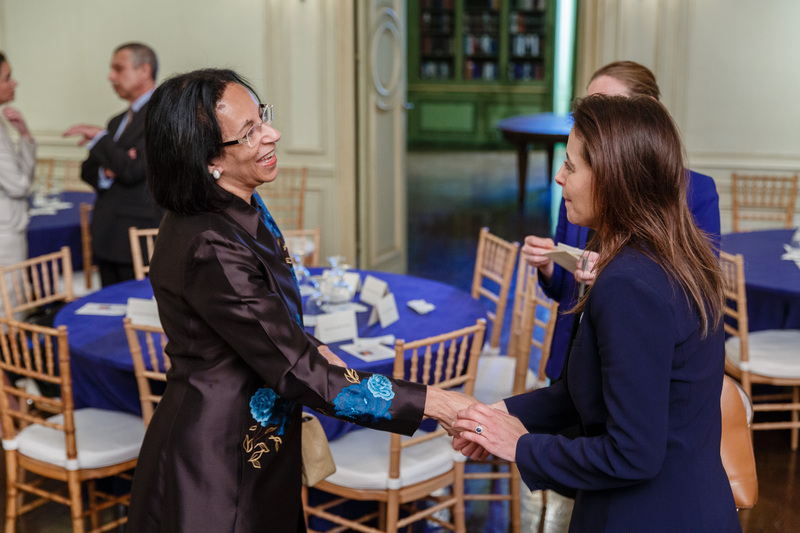 On October 4, 2017, Meridian hosted a discussion with The Honorable Dina Powell, Assistant to the President and Deputy National Security Advisor, with a distinguished group of leaders in Washington, including senior diplomats representing over 50 countries from around the world. The program, part of the Insights @ Meridian series, provided Ms. Powell the opportunity to share some of her experience and thoughts pertaining to a variety of topics, including women’s empowerment, the role of entrepreneurship in global economics, and key issues that impact U.S. national security today including ongoing struggles in the Middle East. Ambassador Stuart Holliday kicked off the discussion by expressing Meridian’s support for Ms. Powell. “We are honored to be partnering with you and the Administration to strengthen cooperation between U.S. and international leaders. Dina, it is great to have you here,” he said. 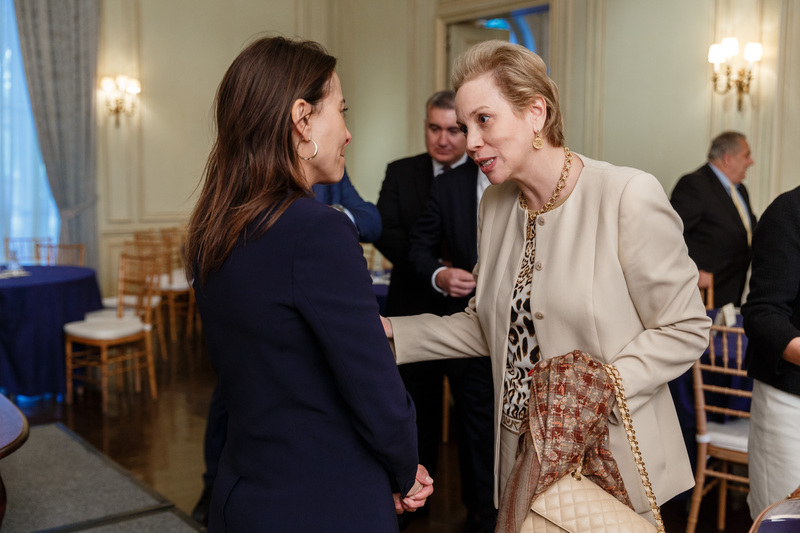 Ms. Powell followed with remarks highlighting the important role Meridian plays as a bridge to the diplomatic community. “Twelve years ago when I was here, Meridian was already an important global engagement center. I think that what you’ve done over the last few years is amazing. It’s really impressive. To the ambassadors, I want to just say on behalf of General McMaster how much we value your partnership,” she said. 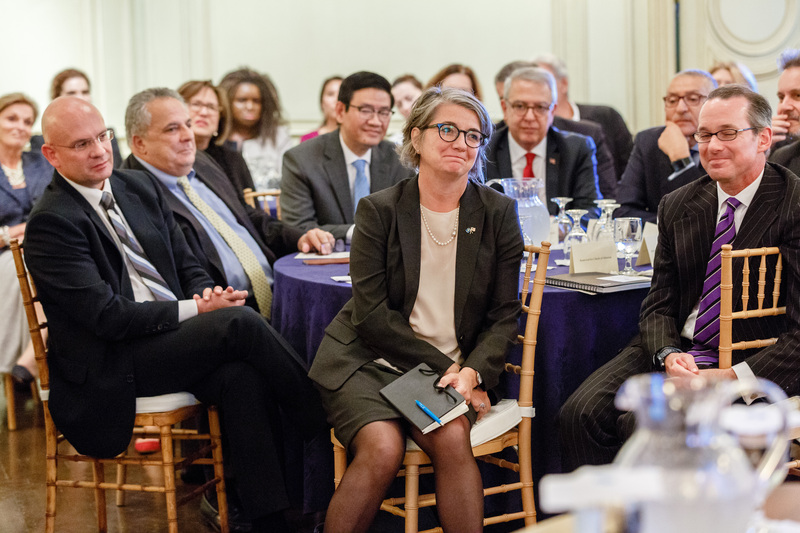 The Insights @ Meridian series engages senior level diplomats based in Washington, D.C. by connecting them to leaders in U.S. government and the private sector to build relationships, exchange views and accelerate collaboration on current and emerging policy issues. 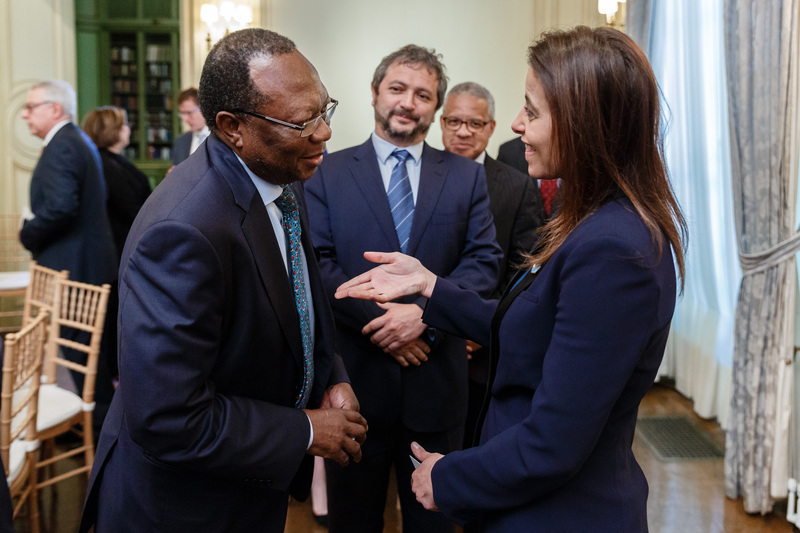 His Excellency Mninwa J. Mahlangu, Ambassador of South Africa and The Honorable Dina Powell. Photo by Stephen Bobb Photography. Her Excellency Shrifa Lalla Joumala Alaoui, Ambassador of Morocco and The Honorable Dina Powell. Photo by Stephen Bobb Photography. Her Excellency Hunaina Sultan Ahmed Al Mughairy, Ambassador of Oman and The Honorable Dina Powell. Photo by Stephen Bobb Photography. 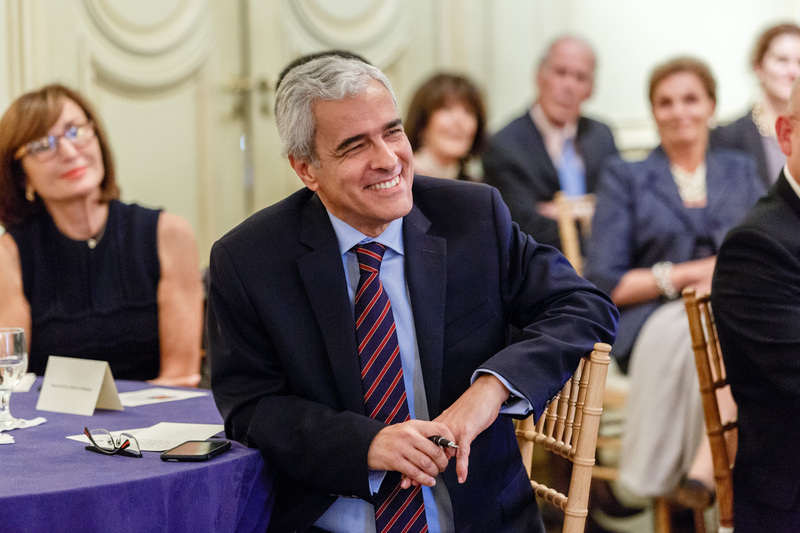 His Excellency Domingos Fezas Vital, Ambassador of Portugal. Photo by Stephen Bobb Photography. Her Excellency Karin Olofsdotter, Ambassador of Sweden. Photo by Stephen Bobb Photography. 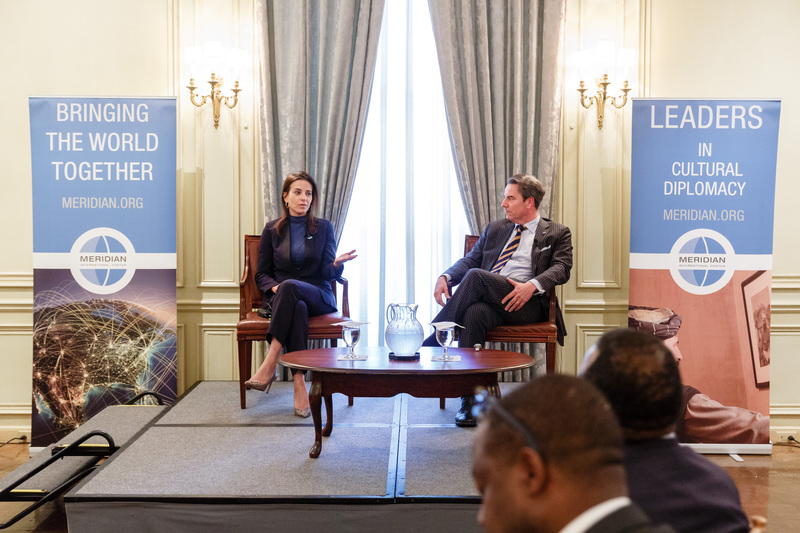 The Honorable Dina Powell and Meridian President and CEO, Ambassador Stuart Holliday. Photo by Stephen Bobb Photography. 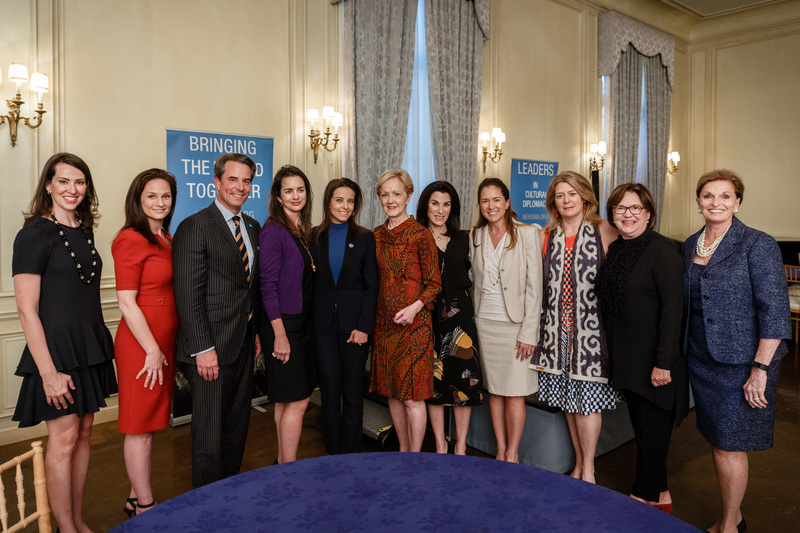 (from the left) Natalie Jones; Heather Florance; Meridian President and CEO, Ambassador Stuart Holliday; Gwen Holliday; The Honorable Dina Powell; The Honorable Ann Stock; Tracy Bernstein; Lee Satterfield; Michele Manatt; Janet Blanchard, and The Honorable Ann McLaughlin Korologos. Photo by Stephen Bobb Photography.